April 14th and 16th , the symposium will be held at Concordia University, Fauborg Tower, 1250 Rue Guy, room FB-620. There are elevators that will take you to the 6th floor. Then follow the signs for TETT 2016. Workshop and symposium sessions on April 15 will be in the Engineering and Visual Arts Building (EV-Building), 1515 Ste Catherine Street West, Room 11.655; 11th Floor). Take the elevators to the 11th floor and follow signs for TETT 2016. See Appendix A for a map of the area. There will be three to four sessions on each of the symposium days. Duration of each panel will be between 75-90 minutes. Each presenter will be allocated a maximum of fifteen minutes to present an overview of her/his paper. Small or large group discussions of all presented papers will follow in the time remaining. To allow adequate time for group discussion, please limit your presentation to fifteen minutes. Each panel will be followed by a brief coffee and bio-break. We will make reservations for lunch on April 14 at a nearby reasonably-priced restaurant. However, due to budget constraints delegates are expected to pay for their individual orders. 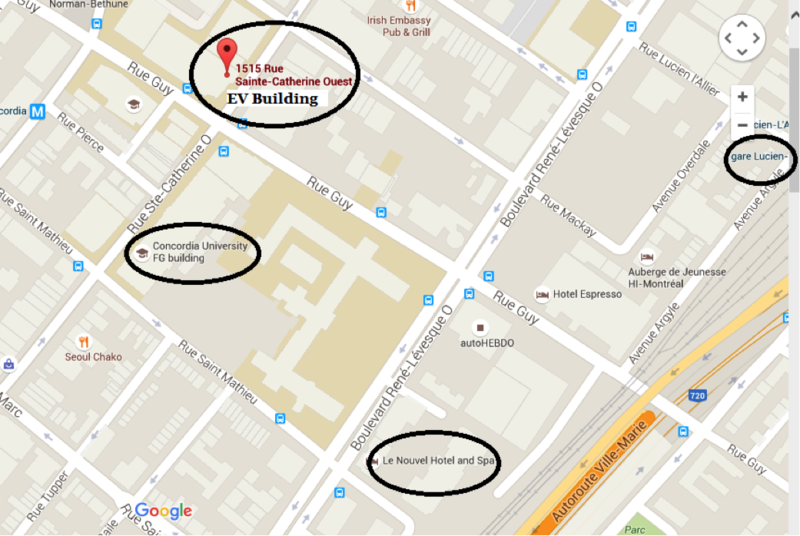 A luncheon reception will be hosted by LCDS and SAF on April 15 in the 11th floor atrium of the EV-Building. The symposium venues are equipped with data projectors. There will be a laptop available in the session rooms. However, delegates may want to bring their own laptop computers. If you are a Mac user, please be sure to bring the correct Mac VGA adaptor. Audio/video facilities will also be available in session rooms. The schedule of sessions is posted under the Program tab. In addition to this, you will receive a program booklet at the symposium containing the final schedule for the sessions. Wireless Internet access will be available to symposium delegates, details on how to access will be provided at the symposium reception desk. If you are coming from out of town, we have blocked off rooms at Le Nouvel Hotel & Spa, 1740, boul. René-Lévesque O. 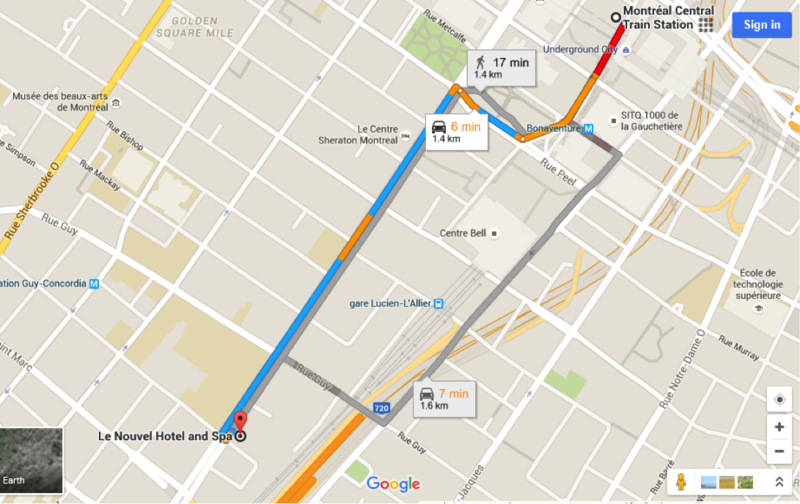 (www.lenouvelhotel.com) which is downtown and a five-minute walk from Concordia (see map in Appendix A). To get the preferred rate, please book using one of the links on the accommodation page . If you are arriving by air, you will be landing at the Pierre Elliot Trudeau Airport, which is about 20-30 minutes from the symposium hotel by taxi. To get from the airport to the Nouvel Hotel, a taxi will cost you $40 + tip. The symposium hotel does not offer shuttle services. If you are traveling light, the public bus is very quick (45-60 minutes) in fact quicker than a taxi. The 747 express bus from the airport will drop you off at Bishop and Rene Levesque, which is three blocks (5 min.) from the hotel. You can find a schedule and map at http://www.admtl.com/sites/default/files/2015_747_A.pdf. Bus tickets need to be purchased from ground transportation at the airport before boarding for $10. Tickets can also be purchased on board using exact change in coins. If you arriving by train, you will be arriving at Gare Centrale from where you can take a cab (about 10 minutes: $5-7 depending on the time of the day). The train station is located at the Bonaventure metro station. To take the metro, take the Orange Line from Bonaventure one stop to Lucien L’Allier station (about 5 minutes.) 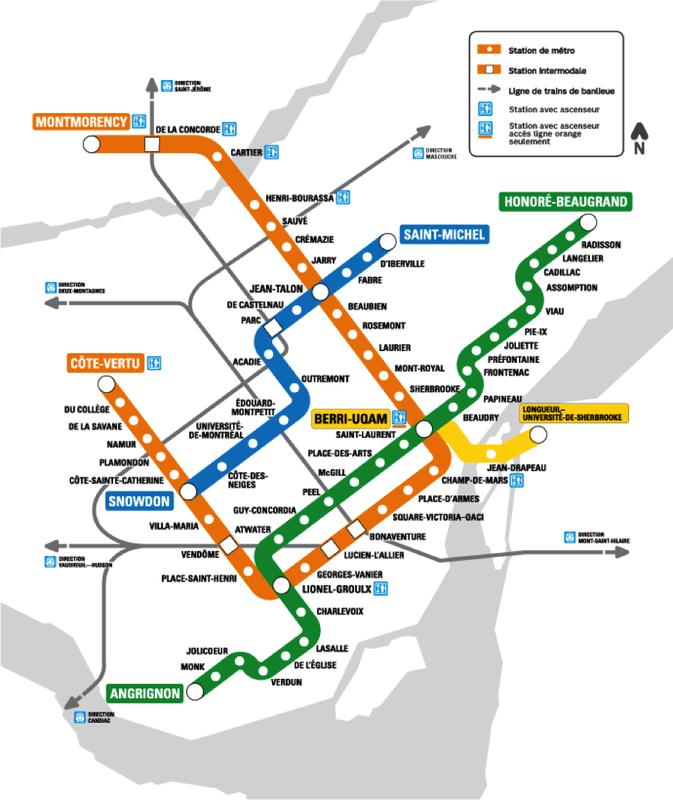 A map of Montreal metro can be found in Appendix B and at http://www.stm.info/en/info/networks/metro. A map from the train station to the Novel can be found in Appendix C.
From Le Nouvel Hotel to Symposium VenueLe Nouvel is about a 5-minute walk from the symposium venue (see Appendix A). Arrangement for publishing the papers presented at the symposium are at an advanced stage. Delegates have been requested to bring a draft paper with them to the symposium. Deadline for submitting revised papers: June 30, 2016. Urban Marmotte www.urbanmarmotte.com is willing to organize a three-hour night tour of Old Montreal on April 15 for $15 per person. If you are interested, please send Michelle an email by April 4 and she will book the tour. The minimum number we need for this tour is 10 people.